Property developers today have a dilemma. Do they continue building homes using proven conventional building methods amidst rising costs or adopt the Industrialised Building System (IBS) to mitigate such costs while still providing quality products? This conundrum has been going on for quite a while and since the 1990s when IBS was introduced, Malaysia’s adoption of the system is still slow going. IBS homes are basically “constructed” in a factory and then the various components, like the walls or bathroom, is transported to the work site to be put together very much like a jigsaw puzzle. It is considered to be one of the fastest, safest and cleanest way to build a house, and requires less workers to do so. The savings both in physical costs and time are benefits to both the developer and the customer. It is believed that if there are enough IBS manufacturers with a proven track record and experience, the property development industry will have greater impetus to adopt the system. One IBS player that hopes to provide affordable IBS solutions is Acotec Sdn Bhd, a member of OSK Group. Primarily a manufacturer of hollow cast concrete wall panels, Acotec provides more than just the walls for a building. 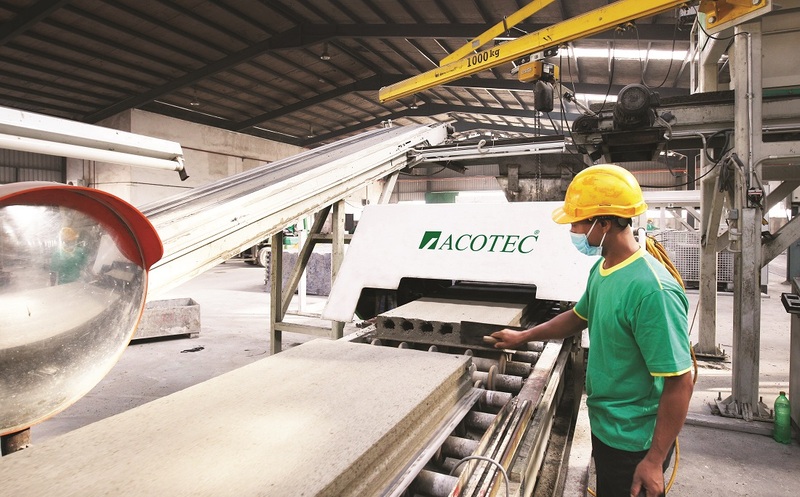 Acotec started in 1994 and was the first to provide its wall panels to Malaysia and Singapore. Over the years, it has perfected the formula to design a product that can deal with our climate. 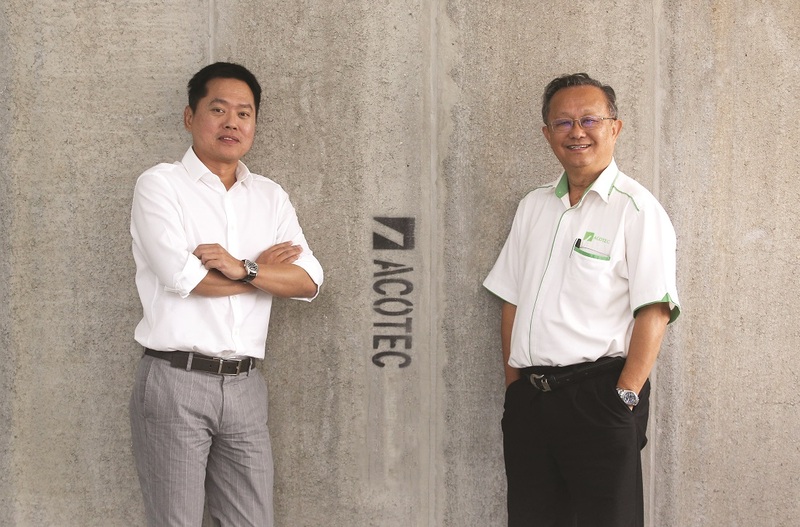 “The company’s in-house R&D team has done numerous tests and material adjustments, which enhances the existing Finnish technology to suit the regional market and weather conditions,” says Acotec CEO Tan Kheak Chun. Some of its notable projects include 1,424 double storey terraced house for PR1MA in Sungai Petani and Brunsfield Residence @ U-Thant in Malaysia as well as Quayside Hotel Sentosa and Seagate Centre in Singapore. Acotec panels were also used in the Universiti Teknologi MARA (UiTM) Pahang Campus and Hospital Rehabilitasi Cheras projects. All wall panels are manufactured in factories strategically built across Peninsular Malaysia. production capacity of over 2.8 million m²,” says Tan. Another factory in Terengganu is in the works to service the east coast of Peninsular Malaysia. Some might wonder why the three factories – which have nine production lines – are placed in the northern, central and southern parts of the peninsular? The answer is “green”. The factories are within 50km radius of worksites to ensure a low carbon footprint. The standard wall panel measurement is 3.7 m long, 600 mm wide and 75 mm thick and has various properties. It has a fire rating of two hours. Due to its hollow cast, construction is lighter but is very strong, making it impact resistant with the concrete strength of grade 25. It is also water and sound resistant. Because the walls are manufactured in a factory, the panels are all flat and does not require plastering. A skim coat on internal walls are all that is needed for a finished look. Moreover, this product is eco-friendly, part of the company’s green initiative, where panel cut offs can be recycled, leaving no waste. Furthermore, renovation is easy, for example, for when a new air conditioning unit is installed or additional wiring or pipes are needed. Of course this has to be done on a non-load bearing wall to prevent structural damage. All these benefits are regularly shared with customers who want to use a cost-effective but quality product. However, the main challenge for Acotec is that the proper process of IBS is not done throughout the construction process. This is something which Tan believes needs to be addressed. “For implementation of IBS, you need a common understanding between the IBS manufacturer, the user, the contractor, and the developer,” says Tan. “If you don’t have this common knowledge and understanding, it is very difficult to implement. That is why people say, IBS has got a lot of problems, leakage and this and that. It is just because there is no common understanding of the process of IBS. Having mulled over this problem and a believer in positive action, the team at Acotec put on their thinking caps and created the innovative Aco-Built System, borne out of this desire to ensure seamless project development and control to create a quality house. One of the key benefits using the Aco-Built System is the cost efficiency. Tan cites an example of a recent project. A 1,200 sq ft single storey house was constructed using IBS components from the walls all the way to the ceiling and roof with finishes for an indicative construction cost of RM65 psf or roughly RM78,000. Moreover, Tan highlights that it only takes four workers and two days to erect the structure. Renovation to this basic structure is a breeze, where an extension can be built simply by removing wall panels of a non-load bearing section, put up the necessary framework and then affix new wall panels. 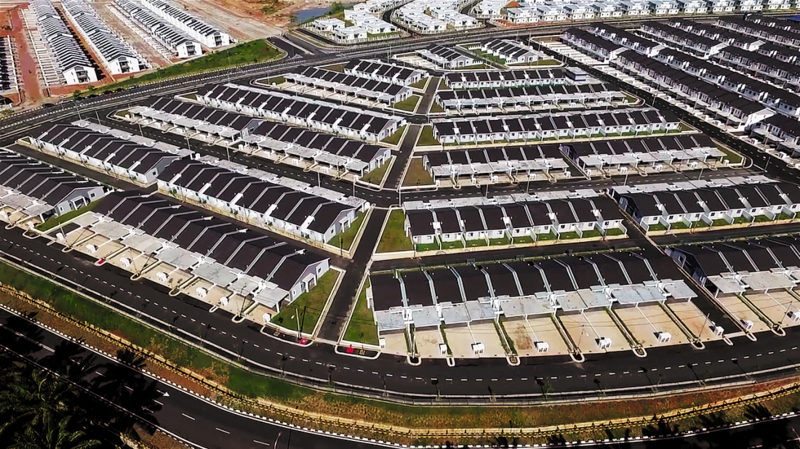 Cost aside, Tan explains that due to the manner which the components are transported to the individual house plots, the worksite is clean and uncluttered. Incidentally, visitors or customers visiting the worksite has commented if anyone was working that day, Tan shares with a chuckle. This Aco-Built System is also customisable according to the requirements of the client. Taller structures will require different treatment obviously, but Tan says that the overall cost of construction is very much lower. This system, he adds, is best used for large volume of homes and done with great speed and efficiency, with few defects as quality is controlled from the start. While the benefits for IBS is certainly there, the challenge is for more people to adopt IBS. It will only be a matter of time before developers and contractors align their work flow according to IBS. In the meantime, Acotec believes in getting the ball rolling to help build quality homes quickly and efficiently. This story first appeared in the EdgeProp.my pullout on Jan 25, 2019. You can access back issues here.